Physicist Max Tegmark has identified 32 dimensionless ratios that are basic properties of reality in his though-provoking book, Our Mathematical Universe: My Quest for the Ultimate Nature of Reality. These are 32 pure numbers from which every other fundamental constant of nature can be theoretically derived. In this illustration I depicted these parameters and added the missing on/off switch, bringing the grand total of controls needed to mathematically define a universe up to the magic 33. “How far could you rotate the dark-energy knob before the “Oops!” moment? The current setting of the knob, corresponding to the dark-energy density we’ve actually measured, is about 10−27 kilograms per cubic meter, which is almost ridiculously close to zero compared to the available range: the natural maximum value for the dial is a dark-energy density around 1097 kilograms per cubic meter, which is when the quantum fluctuations fill space with tiny black holes, and the minimum value is the same with a minus sign in front. If rotating the dark-energy knob…by a full turn would vary the density across the full range, then the actual knob setting for our Universe is about 10−123 of a turn away from the halfway point. That means that if you want to tune the knob to allow galaxies to form, you have to get the angle by which you rotate it right to 123 decimal places! 000,000,000,000,000,000,000,000,000,000,000,000,000,000,000,000,000,000 games. Unlikely doesn’t even begin to describe these odds. There are “only” 10^81 atoms in the observable universe, after all. …if the electromagnetic force were weakened by a mere 4%, then the Sun would immediately explode as its hydrogen fused into so-called diprotons, an otherwise nonexistent kind of neutron-free helium. If it were significantly strengthened, previously stable atoms such as carbon and oxygen would radioactively decay away. If the so-called weak nuclear force were substantially weaker, there would be no hydrogen around, since it would all have been converted to helium shortly after our Big Bang. If it were either much stronger or much weaker, the neutrinos from a supernova explosion would fail to blow away the outer parts of the star, and it’s doubtful whether life-supporting heavier elements such as iron would ever be able to leave the stars where they were produced and end up in planets such as Earth. If electrons were much lighter, there could be no stable stars, and if they were much heavier, there could be no ordered structures such as crystals and DNA molecules. If protons were 0.2% heavier, they’d decay into neutrons unable to hold on to electrons, so there would be no atoms. If they were instead much lighter, then neutrons inside of atoms would decay into protons, so there would be no stable atoms except for hydrogen. Indeed, the proton mass depends on another knob that has a very wide range of variation and needs to be fine-tuned to thirty-three decimal places to get any stable atoms other than hydrogen. The Moon and the Sun constitute further proof we passengers on spaceship Earth are winners. There is nothing in physics that says the Moon and Sun must appear the same size in our skies. In fact our Moon is the only satellite in our system that even comes close to doing this. It is truly amazing that the Moon and Sun discs match up—and they won’t forever as the Moon is slowly moving away from the Earth. We won the cosmic lottery again! A look at any total solar eclipse is proof of the astronomically unlikely situation that the Sun is 400 times larger than the Moon and 400 times father away from Earth than the Moon. I discovered another such symmetry in the orbital dynamics of Moon and Earth. During one orbit around the Sun, Earth actually rotates about its own axis 366.3 times. The Moon orbits the Earth in 27.3 days. Of course a day is one Earth rotation on its own axis. At the same time, the Earth is 366.3% the diameter of the Moon and the Moon is 27.3% the diameter of Earth. How can it be that the Earth and Moon are in a reciprocal mathematical relationship in terms of number of rotations and in the pure ratios of diameters? Nothing in physics says this need be so. It is far too perfect and we won the cosmic lottery yet again! The combined diameter of all the planets in our solar system is 10 times greater than the Earth’s circumference. This has astonishingly high accuracy at 99.99%. As we don’t know the combined diameters of all the planets with more than 99.99% accuracy this relationship might in fact be exact. It is a powerful argument for the primacy of base 10. We won the cosmic lottery yet again, against astronomical odds! What are we not understanding? God, Aliens, Conspiracy, Randomness and/or Triviality are unsatisfying explanations to me. These major secrets placed so obviously in plain sight make me feel like humanity is destined to understand the deeper implications. Many more such symmetries and wonderment are in my most recent book, The Divine Proportion. Please do share. Inquiring minds want to know. So multiply by 52.36 and you get 432.000. But this is just a fraction of what the structure reveals , universal constants etc. and much much more. The royal Egyptian cubit is approximately this same distance, .5236 meters or 1.718 feet (99.4%). I think the cubit is precisely expressed as (6/5)^3 feet or 1.728 feet exactly (see Cubits). Good to see you posting again Scott! On a side note – have you or anyone else calculated the statistical odds of some of the coincidences you’ve found? I don’t know how to begin to calculate the odds. Anyone? The best place to hide anything is in plain view. Wonderful new post and news of new book, Scott. Much to sink ones teeth into. Down in code and found in a ancient manuscript. 432 or 432.000 but where does it come from? So times 52.36 is 432.000. And a bridge to all branches of science. The trinity is a mystery, the circle is ONE. Will be 576, the value of Holy Spirit . The standard (most common) form of the pentagram ritual involves first the tracing of the circle then transforming oneself as a “cross of light”. 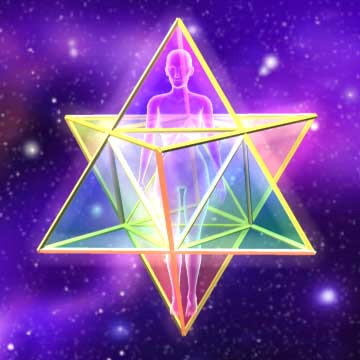 The cross is of course an unfolded cube and it connects with Saturn/Binah and the tarot card The Lovers which connects to Tiphareth/Sun. The Hexagram on Saturn’s north Pole can also be viewed as a cube. Thus the mystery of the 4 into the 6 which relates to the form aspect. The WORD however is always silent. Did you know that on December 22nd 2014 was the beginning of the new Metatonic calendar which is almost exactly 19 years where the Moon and Sun always align at Galactic Centre. Then there is the 18.6 year lunar standstill where the Moon’s declination reached a nadir on January 2016 thus starting a new cycle. This is why we have the 18 year 11 day eclipse cycle. Scott- A mention of a book I read, in an old post here, seemed to result in you going out and checking it out- Before the Pyramids. Very exciting! For other readers of this site, I would recommend 5 books exploring the ancient megalithic culture, who understood the universe far better than most people would believe, and used this knowledge to create an entire system of weights and measures which was used in everything from trade to giant building projects and beyond. 1. Before the Pyramids. If you can absorb it, your mouth will be hanging open…mine was! 3.Uriels machine. The Book of Enoch makes sense after this large book. 4. Civilization One. Shows how understanding the nature of astronomy led them to create an entire system of weights and measures (all encompassing and elegant) based on the 366 day year and speed of rotation of the earth. Shows how both the imperial and metric systems are far older than we think. 5. Who built the moon? Sounds ridiculous but there are so many bizarre coincidences regarding our moon that it makes you actually question if it was designed and placed there. On the subject of the cosmic lottery I recommend reading The Privileged Planet by Gonzales and Richards and The Cosmic Blueprint by Paul Davies. Some reasearch has shown that our solar system is ordered; all celestrial bodies following a fibonacci sequence relationship. Ordered matter in solar systems and galaxies exhibit divine proportions, and hence it’s only enevitable that at some point in space/time the habitable region of a solar system would harvest Earth and it’s moon at these ratios which brought about life. It was never a lottery, numbers, patterns and laws of physics/nature are a fundamental part of life. Beautiful exploration Scott! Se mandares o numero da loto fico grato . You realize that when multiplying the percentage of diameter for the moon and the earth you can only get 1 right? (d_earth/d_moon) (d_moon/d_earth) = 1 ; you only got 0.999 because you truncated the decimals. Also, this is irrelevant because you chose days … there is nothing special about that unit of measuring time.